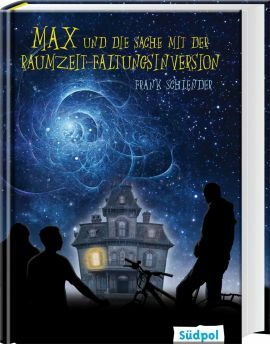 Science fiction nerds Max, Willi and Ben discover a light inside the ruinous mansion. Over night, a strange elderly lady seems to have moved in with her daughter Penelope. Penelope, a striking appearance with platinum blonde hair, rouses unknown feelings in Max. But then the boys discover that the girl has triangular hairs with serial numbers! This prompts the ‘science fiction experts’ to investigate are Penelope and her mother robots?